Did you know that just 30 minutes of moderate physical activity, such as a short walk around the neighborhood or working in the yard, provides many of the same health benefits as exercising? You don’t need to be in a vigorous workout routine to stay healthy—even a moderate or low-impact activity can provide health advantages that can make you feel better and live longer. You may be thinking to yourself: I’m getting older, so how much would I really benefit from physical activity? The answer is a lot. Staying active is important for all ages, and even more so later in life. In fact, there’s even a nationwide event that aims to help older Americans stay fit. 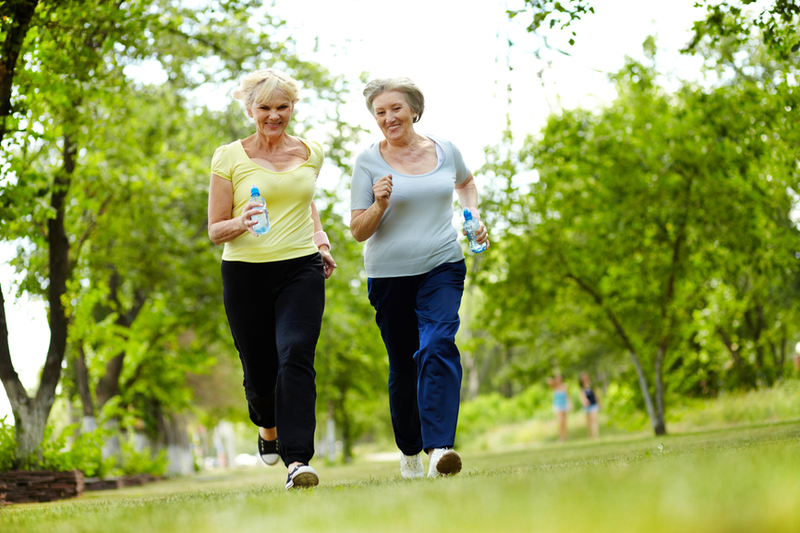 May 28th is National Senior Health & Fitness Day, the biggest health event of the year for older adults. This annual event encourages seniors to participate in local health and fitness activities across the country on the last Wednesday of “Older Americans Month” (May). The goal is to promote the benefits of staying active, as well as provide an opportunity for local businesses and organizations to encourage seniors to participate in health related events. Some of these healthy activities may include walking, light exercising, health screenings, and health workshops. No matter how old you are, it’s never too late to start an exercise routine—or at least be more active. As we get older, our bodies reduce muscle and bone mass, which can lead to osteoarthritis (loss in joint cartilage), osteoporosis (weakening of the bones), and other muscle, joint, and bone problems. The benefit of staying active in old age is that you can slow this degradation process by strengthening muscles and bones, which can improve joint/muscle pain, balance, mobility, and many other things. Staying active can also help if you have a chronic medical condition such as arthritis, back pain, or asthma. Lack of physical activity from a sedentary lifestyle not only makes the condition worse, but it can also make it harder to live with.